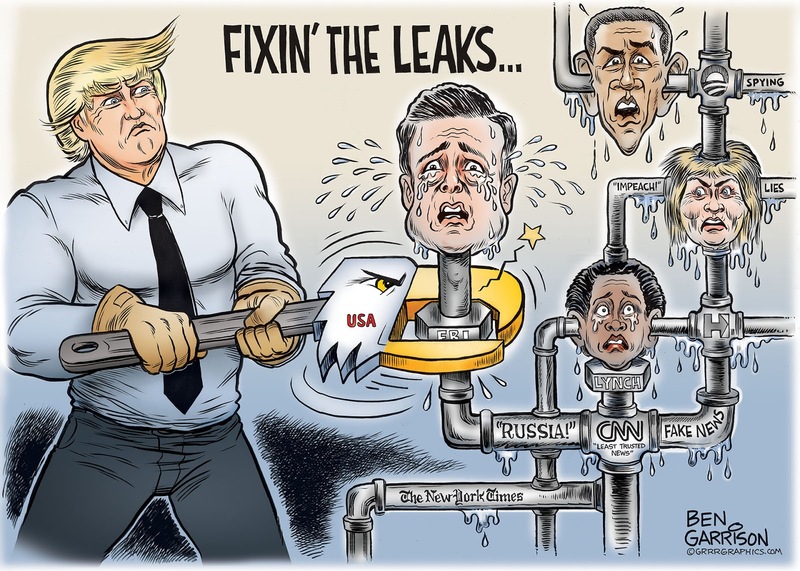 Rogue Cartoonist: "The Leak Fixer"
President Trump’s decision to fire Comey was spot on. The first step in draining a swamp is to stop the toxic leaking, lies and corruption that help create one in the first place. The FBI, CIA and NSA should all be answerable to the president, and he should be able to fire anyone in those agencies. We The People should have ultimate control over such bureaus through the elected president. Otherwise, said agencies can go rogue while hiding under 'national security’ secrecy every time. That’s not right. We The People demand accountability. Otherwise the agencies can aid and abet criminals. You know, people such as Comey who let their shadow government comrades off the hook every time. It’s too bad Trump doesn’t fire the entire NSA outright for illegally spying on the American people, but firing Comey is a good first step. 1. I draw him as he is inside--strong. 2. 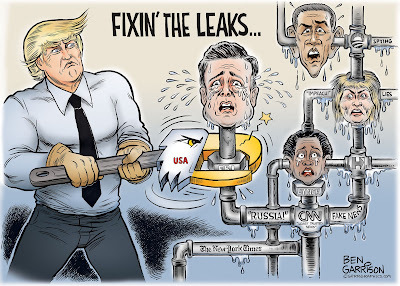 It helps to balance out how over the top disgusting the liberal cartoonists always portray him. 3. It makes those on the left angry.